It is estimated that by 2020 as many as 15 billion devices will be connected to the Internet—more than double the world’s population. Equipment interacts with each other and outside the company without intervention, and often without our knowledge. This creates a significant security challenge. Any node on a company’s network could be an attack vector for the entire production system. Information security is a critical issue in manufacturing – every organization has valuable data which is at risk. 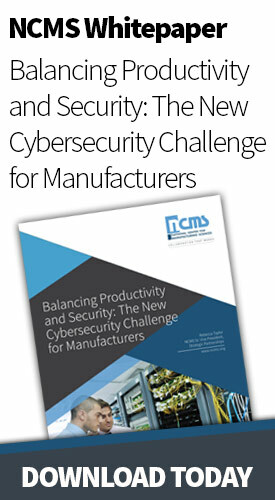 In response to new and complex cybersecurity demands, NCMS has partnered with public agencies like Department of Homeland Security and NIST, as well as private sector stakeholders in cybersecurity, to help identify key issues, opportunities and mitigation solutions as these attacks threaten the production capabilities of every connected manufacturing firm. 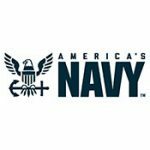 NCMS’ Cybersecurity Strategic Initiative helps manufacturers address cybersecurity issues and convenes technical experts in operational technology and cybersecurity to help companies identify, mitigate and close security and resilience gaps. The National Institute of Standards and Technology (NIST) is a world-class measurement and testing laboratory encompassing a wide range of areas of computer science, mathematics, statistics, and systems engineering. NIST’s cybersecurity programs seek to enable greater development and application of practical, innovative security technologies and methodologies that enhance the country’s ability to address current and future computer and information security challenges. The DHS Industrial Control Systems Cyber Emergency Response Team (ICS-CERT) works to reduce risks within and across all critical infrastructure sectors by partnering with law enforcement agencies and the intelligence community and coordinating efforts among Federal, state, local, and tribal governments and control systems owners, operators, and vendors. Additionally, ICS-CERT collaborates with international and private sector Computer Emergency Response Teams (CERTs) to share industrial control systems-related security incidents and mitigation measures. The following advisories provide timely information about current security issues, vulnerabilities, and exploits. These alerts inform manufacturing owners and operators concerning threats or activity with the potential to impact critical manufacturing networks. Clink on the links below for more information about each item.